That was a huge deal, but it's also worth noting that as big a step as it might be, it also involves two characters -- including Archie's gay classmate Kevin Keller -- that were largely created to fill that role. Valerie and Archie's romance, however, is something different. They're two established, high-profile characters, one of which has been a fixture in Archie's media efforts and another that the actual company's named after -- coming together in something that you just wouldn't have seen from those characters, even five years ago. When Archie and Valerie first started dating back in 2010, I wrote about what it meant in the context of a company that in the past had treated interracial dating as something so controversial that obviously black characters were colored in the stories to have lighter skin. In fact, it was standard practice for years to introduce minority characters in twos so that they could pair off without having to date Betty or Veronica -- a Nancy for every Chuck and a Frankie Valdez for every Ginger Lopez. Archie and Valerie change all that, and the way that it's been pulled off in the past by writer/artist Dan Parent, one of Archie's strongest creators, has made perfect sense. 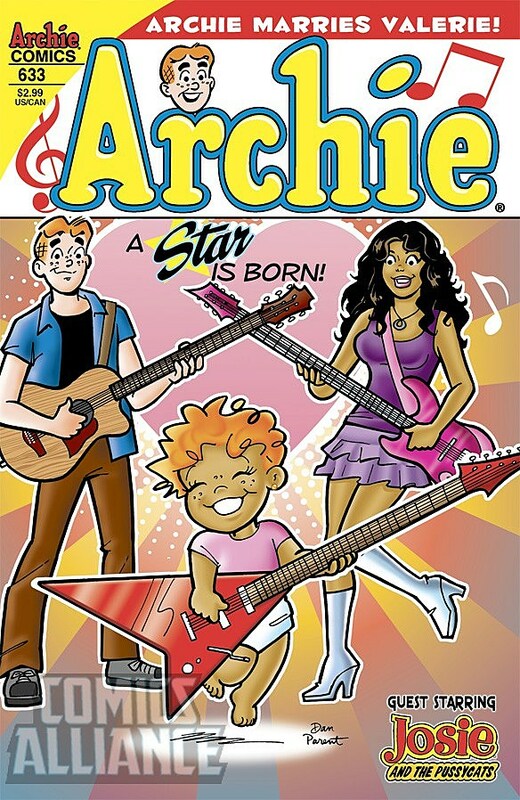 They build their relationship on a mutual love of music and, in Archie's case, the fact that he falls in love with beautiful girls regardless of race. As an isolated idea, it meant a lot, but in elevating it to this level, their relationship is being treated as something just as valid as Archie's relationships with Betty and Veronica. The addition of a daughter, something that hasn't been explored in the Betty or Veronica marriages and something that has traditionally been even more controversial in American history, goes even further -- in a good way. "To us, this is just another chance to tell a great story. The fans want more Archie/Valerie – they ask about it at shows and everywhere we go. 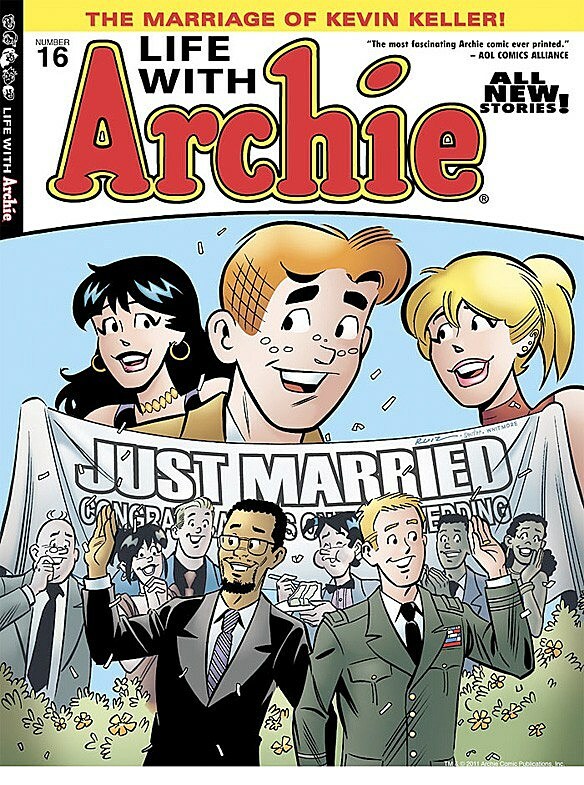 Like we did with the best-selling LIFE WITH ARCHIE, where Archie marries Veronica and Betty, we thought it'd be interesting to show a future where Archie marries Valerie from Josie and the Pussycats and the life they lead together. I can't really speak to whatever issues some people might have with them getting married or having a child. Like Kevin Keller's wedding – it's not an issue in Riverdale. Riverdale welcomes everyone and always will. For us, it's about telling a great story involving two wonderful characters and how they interact. The fans have asked for it and we're making it happen." For the stories that still get into the hands of kids that have never read another comic, the idea that "Riverdale welcomes everyone and always will" is one of the most positive messages I can imagine.